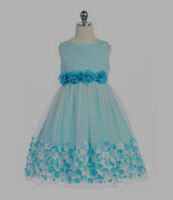 Girl Kids- Add Adoring Yet Classy Colors to Your Princess’ Attire! Gone are the days when fashion was confined to adult ladies. 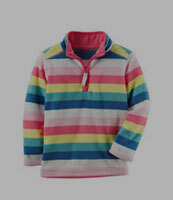 The 21st-century kids demand as much dressing sense as an adult of the pastime. Fashion consciousness isn’t something ladies get when they grow up, but it is built-in in them since childhood. Therefore, you just can’t ignore you little princess and dress her up in an old-fashioned way while you wear chic clothes and shoes. 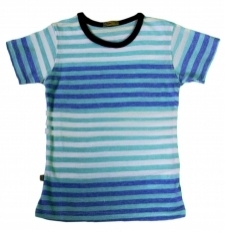 As a result of this, affordable.pk has given an exclusive section to baby girls’ fashion in the kid's section. You have different shopping needs at different times. It’s a hell of a lot difficult to choose all the things from one place. 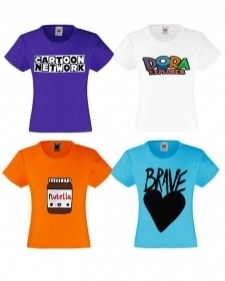 Therefore, the affordable.pk has divided the girl kids section into the following subcategories. Don’t you feel delightful when your little one wanders around and jiggles and giggles for long? 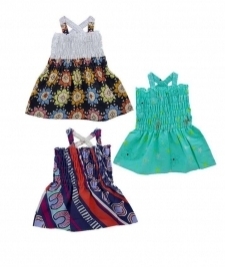 Nothing makes a baby girl happier than wearing cute little and modish dresses. Since you have to dress her up according to the occasion and time, the dresses section is further subdivided into casual, special occasion, jumpsuits, frocks, and party wears. Talking about baby girls’ dresses, nothing beats traditional clothes. 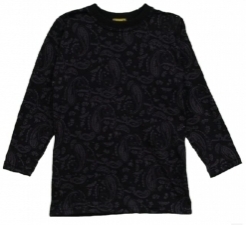 Despite a massive trend of western clothing in children, most of the mothers still prefer dressing their princess in the traditional shalwar qameez. Buy all types of Pakistani clothes for little girls including shalwar qameez, gharara, lehenga, maxie, and kurta at prices that are reachable for you. You don’t always need a two-piece dress for her. Sometimes, you just need a right top that could go with the bottom already hung in the closet. This is why you can categorically search for shirts and blouses, knits and tees, and tanks and cammies in the tops section for girls. It’s hard to resist buying those fluffy and endearing onesies and sets for your newborn baby. 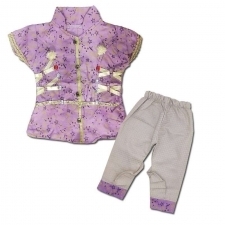 Buy onesies, sets, and night suits at reasonable prices on affordable.pk. 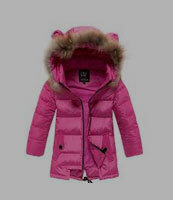 No matter what type of winter wear you need to protect your little princess, you will find all at one place within limited prices. Shop for stylish pullovers, cardigans, shrugs, jackets, coats, vests, blazer, romper, and high necks from affordable.pk. 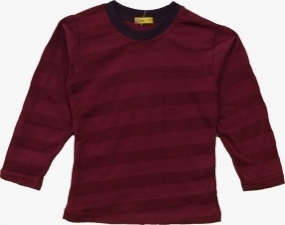 Just like you need a right top, sometimes, you may also want to buy only a bottom for the already existing shirt. Therefore, buy the finest quality leggings, tights, jeans, dress and casual pants, skirts, and denim and casual shorts available within your means. Let your baby stomp around in her cute little shoes because she deserves that. Buy all types of baby girls’ shoes from affordable.pk including sandals, flats, slippers, khussa, joggers, sneakers, boots, dress suits, and barefoot sandals. The little accessories are of huge importance for girls. Your baby girl’s dressing can’t be completed without her adorable hairdo with a headwear or without belts, sometimes. The accessories section has been further subdivided into belts, scarves and gloves, hats and caps, socks, sunglasses, watches, jewelry, bags, hair accessories, costumes, and knee protection. 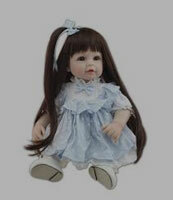 Life of a girl under ten years of age is incomplete without dolls and other resembling toys. 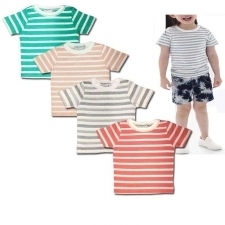 Just like the boys’ section, the toy category for girls is also subdivided into educational toys, cars and remote controls, action figures and statues, baby toys, stuff toys, vehicles and playsets, and games and puzzles. 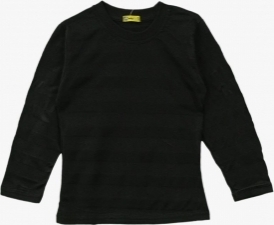 Due to a high demand of sweatshirts in kids clothing, they have been given a separate section that has been subdivided into three categories including hoodies, pullovers, and zip-ups. 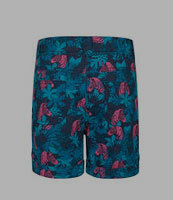 The demand for shorts is the highest in summers. Therefore, the affordable.pk team sells the trendiest and the most fashionable shorts for girls including denim, casual, and active at surprisingly amazing prices. Sports aren’t just important for boys. If you want your baby to be healthy and happy, engage her in physical activities, but do not forget to dress her up comfortably. 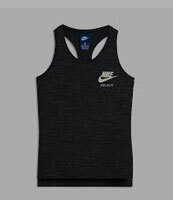 Buy comfortable yet stylish sports tops, bottoms, uppers, and goods/products from the exclusive subcategories.